We have found a fun way to re-use and recycle with our unique designs made from used soft drink and beer cans. 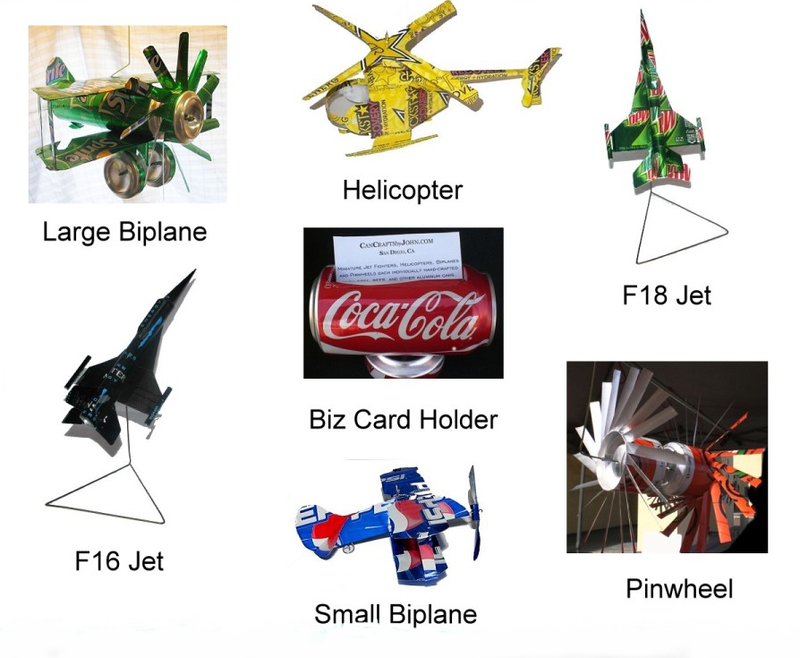 We make Jet Fighters, small and large Biplanes, Helicopters, Pin-wheels and Business Card Holders. Order any design made from your favorite aluminum can beverage! Mike Castellucci interviews John on the Morning show. Promoting Earth Day John makes aircraft out of soda and beer cans. See more videos about can crafts on our Videos Page. _Americans throw away enough aluminum to rebuild our entire commercial fleet of airplanes every 3 months.